No three colors call as much pride to our minds here at DutchCrafters as the red, white and blue of our country's flag. This beautifully crafted 24'' barn star - every piece of it built exclusively by expert Amish woodworkers at a family woodshop in Ohio - is the perfect way to add a touch of that feeling to any outdoor space. 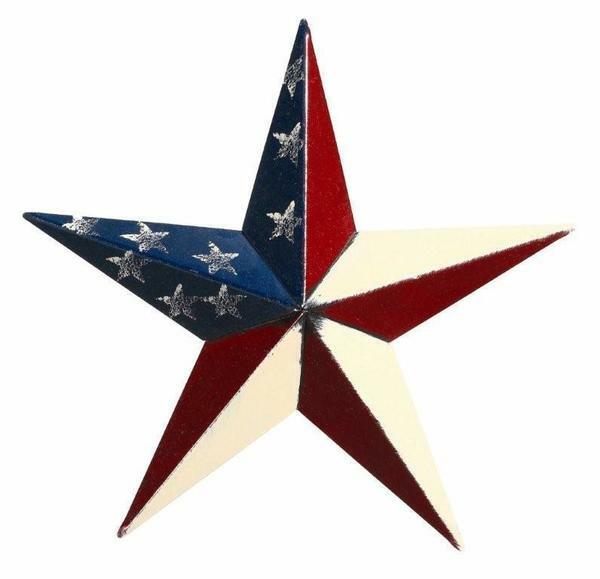 This star can be hung on walls, on fences, on sheds, or even on a plain post or gate with ease, adding the perfect finishing touch to your outdoor decor. The woodworkers who craft these stars take an enormous amount of pride in their work, and their dedication is plain to see in the incredible quality of the finished barn stars. If you've any questions at all about these exceptional pieces, please don't hesitate to give us a call or an email - we would love to hear from you!